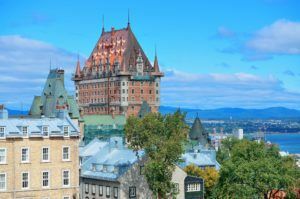 Quebec has entered into multiyear agreements with licensed producers to supply over 60,000 kilograms (130,000 pounds) of cannabis for the province’s retail and online recreational stores. With adult-use legalization in Canada looming late this summer, the province is the largest market so far to start securing a supply of cannabis. Ontario-based MedReleaf first disclosed it has signed a letter of intent with Société des alcools du Quebec (SAQ) to supply 8,000 kilograms of cannabis products per year over a three-year term, according to a regulatory filing released Tuesday. The SAQ is a Montreal-based liquor distributor, but it created a subsidiary, Société des cannabis du Quebec, to handle marijuana distribution. Aggregate demand in Quebec is estimated to exceed 100,000 kilograms annually, but the regulated market is expected to take a number of years to overtake black-market sales. New Brunswick has signed cannabis supply deals with Organigram, Canopy, Zenabis and Nuuvera, while Prince Edward Island has tapped Organigram and Canopy. MedReleaf, Aurora, Canopy and Aphria are traded on the Toronto Stock Exchange under the symbols LEAF, ACB, WEED and APH respectively. Hydropothecary is traded on the TSX Venture Exchange as THCX.